Now that we have learned how to write Japanese, we can begin going over the basic grammatical structure of the language. This section primarily covers all the parts of speech: nouns, adjectives, verbs, and adverbs. It will also describe how to integrate the various parts of speech into a coherent sentence by using particles. By the end of this section, you should have an understanding of how basic sentences are constructed. Nick on Is there a subject in Japanese grammar? Vlad on Is there a subject in Japanese grammar? 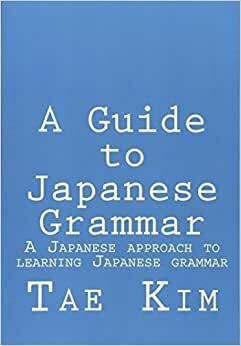 Kailash on Is there a subject in Japanese grammar? Chris on Is there a subject in Japanese grammar? Kanji Diagrams from KanjiVG copyright © 2009-2015 Ulrich Apel and released under the Creative Commons Attribution-Share Alike 3.0 license.